CHIAVARI, Italy - One subject that never fails to intrigue me is why some people find it easier to adjust to living in a new country than others. I have a couple of theories on the subject, starting with this: it’s easier to adjust if you are the person making the decision as to which country you are going to live in. From the ex-pats I have met in the 25 years I’ve been in Italy, this has been true just about 99 percent of the time. One exception was Diane, one of my Italy “daughters”. We both lived in Genoa Nervi in 1990, both of us new to Italy and trying to figure things out. She was the first to adopt me as her “home away from home” mom, someone she could talk to and able to help out when she needed a hand. Diane, an all American girl, born and bred in Florida, has a big smile, a breezy personality and a backbone made of steel. She ended up in Genoa after her husband was appointed Director of the new aquarium that was being built as part of the Columbus celebration planned for 1992. As if facing a new culture wasn’t difficult enough, imagine trying to do it with three babies under three, a large house to manage and a husband who was working 16 hours a day. But she never gave up. 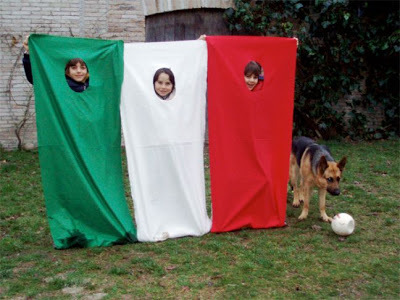 While Diane never learned to speak Italian, it didn’t seem to hold her back. Were there things she didn’t understand? If you ask her she’d say tons of them, but she approached every situation with a positive attitude and a smile that even the grumpiest of the grumpy Genovese found hard to resist. I thought about her the other day when I found a video on You Tube posted by an American in the Dominican Republic. He claims the reason ex-pats give up on living abroad is because of cultural fatigue. While he makes some valid points, for me, he seemed to be the one most suffering from cultural fatigue. His theory is that most of the time ex-pats are simply worn down by the never-ending challenges of everyday life in another culture. He uses potholders he bought at a local market as an example. He says when he bought the potholders, he had an expectation of what he could do with them – i.e. pick up hot pots, but the reality of the situation was that when he picked up a hot pot with the potholders, the fabric melted. He then thought that perhaps he had used the wrong side of the potholder to pick up the pot, and tried it again. This time the potholders didn’t melt, but they did stick to the pot. Now you may not think this incident in itself is significant. The man bought potholders and they turned out not to be very good, which brings up the question why doesn't he just throw them away and move on? Except, as he rightly points out, things like this happen a hundred times a day. You approach a familiar situation, in this case buying a couple of pot holders, with the expectation that they are going to do what in your logical mind pot holders are designed to do, help you handle hot pots, and when they don’t, it is frustrating. Multiply those frustrating incidents over a period of time and you end up with cultural fatigue and an overwhelming desire to just get back to where ever your normal is. Simply put, you just get tired of trying to figure out things that you know you know, but now, in your new environment what you thought you knew turns out not to be right, and so you have to figure out what all those things that you thought you knew actually mean in relationship to your current culture. 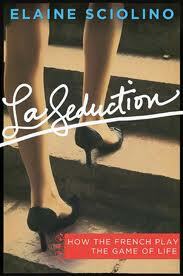 A while back I read an interesting book entitled La Seduction – How the French Play the Game of Life, written by an American journalist, Elaine Sciolino. Sciolino lives in Paris and was the Paris Bureau Chief for the New York Times, so she knows a thing or two about living abroad. What struck me the most about her book was how similar the French and Italians are, although neither would ever admit it. Behaviors that I had always thought of as ‘so Italian’ were popping up on every page. And, closer to the point, so was the rationale the French use to justify certain actions and behaviors that she, as an American, still can’t wrap her head around. She’s been in Europe longer than I have so I don’t think it’s a matter of time, I think it’s a matter of acceptance, and a matter of choice. You can laugh at the differences, like the time Gary, Chris and I got stuck in an elevator with a real estate agent and instead of calling for help, he called his wife to tell her he was going to be late for lunch. I realized after reading Sciolino’s book that somewhere along the way I have given up getting upset over things I can’t change, especially Italian things. I wish some ex-pats I know would do the same, they wouldn't be quite so miserable. I may not understand the why behind certain actions or ways of thinking, but I think I have figured out that a whole country isn’t going to change just because I, or some other ex-pat, don’t understand something. The potholder guy would be well served to learn how to just accept the fact that there are going to be many things he isn’t going to understand as he travels around the world. It’s not always an easy thing to do, but in the long run it’s better for your health an well being. 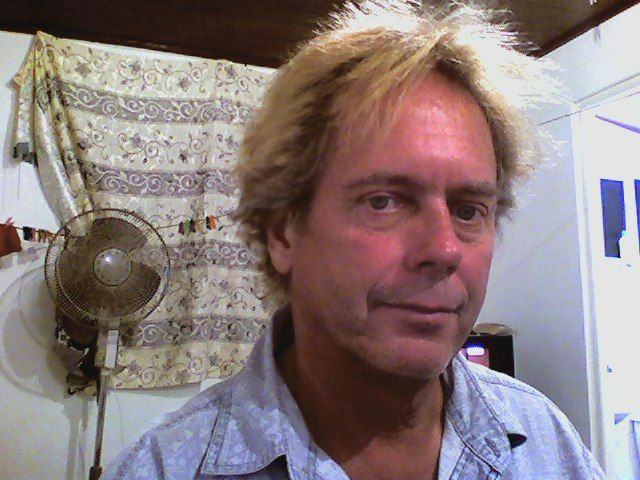 By the way his name is Andy Lee Graham and he posts rambling videos on YouTube on how to travel the world on $10 a day. His backstreet world may not be your world, but you can check out his posts at the HoboTraveler.com. Living abroad is not for everyone. I've been in Italy for 25 years and I don't think of myself as a "survivor" but as "fortunate" for having the privilege to experience living in one of the most fascinating countries in the world. I agree completely! I had to resign from an expats Facebook group because of the negativity and constant complaining about "what is wrong with Italy." 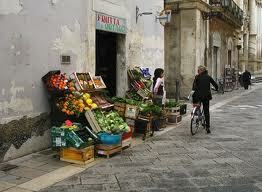 Do like the Italians do: enjoy the wonderful cuisine, wine, culture, people and shrug off petty annoyances like paperwork. I left an expat Facebook group as well Nancy McCoid, and for the same reasons. The level of complaining had gone beyond ridiculous.